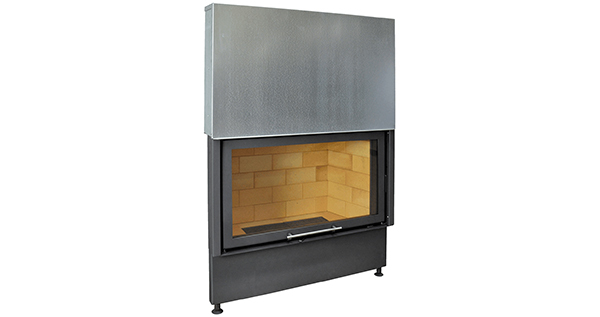 The Mt Blanc 970 produces large levels of clean burning heat and uses a counterweight vertical door system that can sit at any height giving the heater clean finish with a large viewing window. Flagship of our range, this fireplace has large door/glass area and desirable vertical opening door. High heating performance, optimized dimensions, smart design and technology, suits many applications. Same as Mt Blanc VD, only with swing door and attractive price tag. Highly sought after model, double sided version of the ever popular Mt Blanc. Special application model for hydronic (central heating) installation. Huge space and water heating capacity, this fireplace represents the pinnacle in heating technology. Natural convection, heat storage system, hydronic heating.